Sometimes, the information and data that is required to build a form is scattered across multiple data sources such as Database Management Systems (DBMS) and it is often a challenge to get all the required data in one source. Luckily, the OLConnect Data Mapper can use the JDBC (Java Database Connectivity) driver to connect to these third-party DBMS. JDBC makes it possible to establish a connection with a database, send SQL statements and process the results. You need to enable mixed mode security when you install Microsoft SQL Server so that you can connect using a user name and password. The JDBC driver only works with the TCP/IP protocol which is disabled by default on SQL Express. You need to enable the TCP/IP Protocol from the SQL Server Configuration Manager that ships with SQL Express and re-start the SQL Server service. 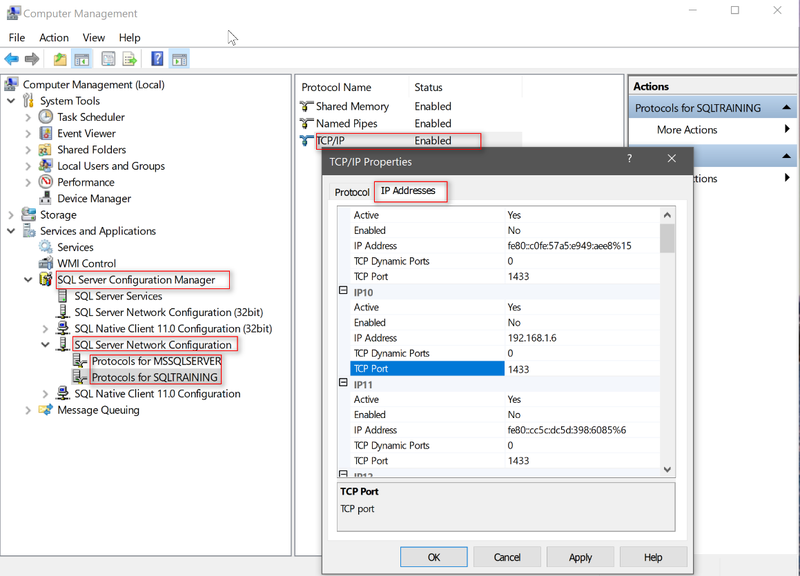 Look under SQL Server Network Configuration ->Protocols for SQLEXPRESS-> TCP/IP->Enable. Set the TCP Port by right-clicking on “TCP/IP”, then click on “Properties” and clicking on the “IP Addresses” tab. The Default port is 1433. 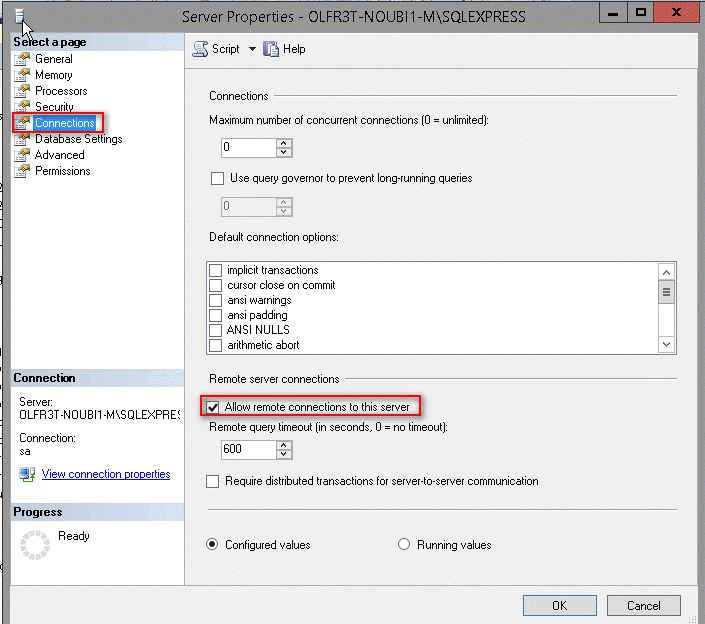 Restart the SQL Server Service to apply the changes. Allow remote connection to the SQL Server. Log into your Microsoft SQL Server instance from SQL Server Management Studio. Right click the server and click on Properties. In this example, we are supplied with a CSV data file, which contains information about customers’ orders’ details such as the OrderID, CustomerID and Shipping Address and dates details; but what is missing from the CSV data file is the actual customer’s name (CompanyName) and a contact name (ContactName). This information available in the Customers Table of the Northwind database, which resides on a Microsoft SQL Server. 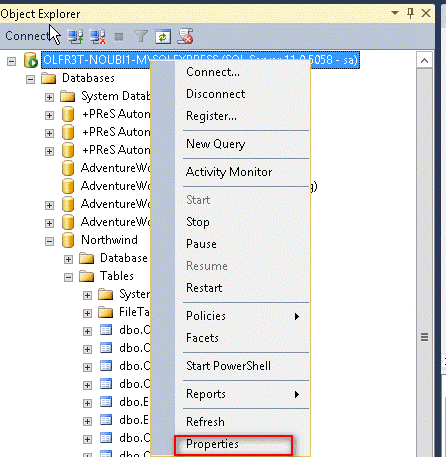 In general, to process any SQL statement with JDBC, you follow these steps: * Establish a connection to the database on the SQL Server. * Create a statement. * Execute the query. * Process the ResultSet object. * Close the connection. 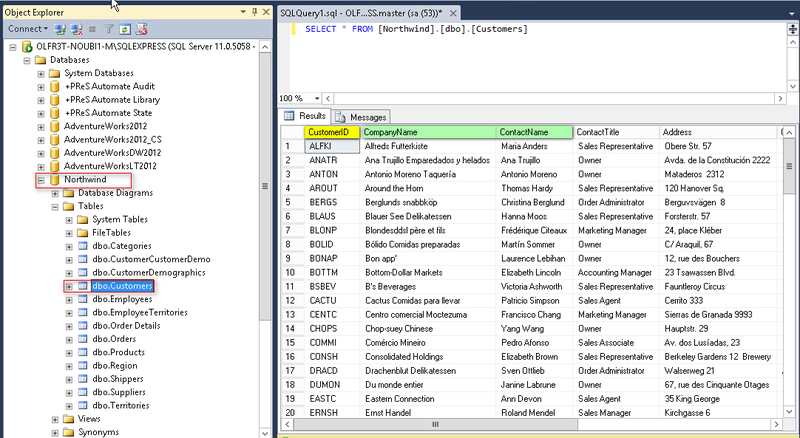 Example: The below script establishes a connection to the Northwind database on a local SQL Server, queries the [Customers] table using the CustomerID field taken from the CSV data file. We’ll use this example script in DataMapper in order to grab the necessary data from the database. In this example, we have a CSV data file of customers’ orders, which does not include the actual customers name and contact details. Instead, this information resides on a remote Microsoft SQL Database table. This example will demonstrate how the companyName and contactName fields can be retrieved from the [dbo]. [Customers] table of the [Northwind] database. var custID = data.extract('CustomerID',0).trim(); // Get custID from current data file. Once we have a resultSet, we can now extract the relevant CompanyName and `ContactName` from it. It can be necessary to make sure the resultSet is not empty. After resultSet.next(), check the current row with getRow(). If it returns 0, then no data was included in the resultSet. If getRow()>=1, then you have at least one row. To do this, simply add an Extract Step. A new field named Field is automatically added in the Data Model. To rename the field, click on the Order and Rename icon in the Field Definition window under the Extract Step properties. This can somewhat be considered an addendum, which covers additional code required for specific databases. 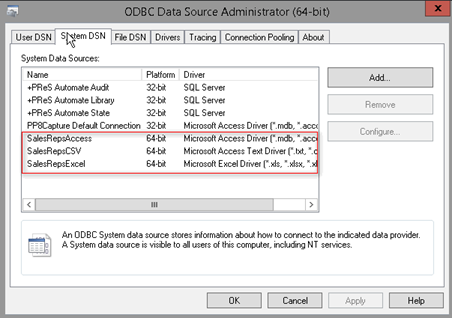 In this section you’ll get information on pre-requisites for these other databases (mostly the ODBC engine) as well as particular code required for each source type. Other than the variations in the query code, the rest of the methodology to access this information from the DataMapper should be identical. 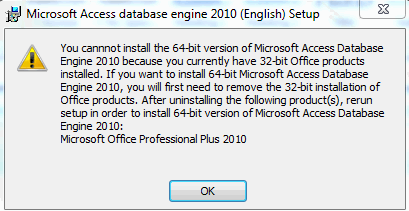 Note that launching the installation of a Microsoft Access Database Engine in the usual way, on a machine with an Office installation architecture different from the current one (e.g. 32-bit on 64-bit), may cause the installation to fail. Give your DSN a name. We will call it “SalesRep” for this example. The above query returns a result set object. We can then use the methods of the ResultSet object, such as getString(), to retrieve the desired data.